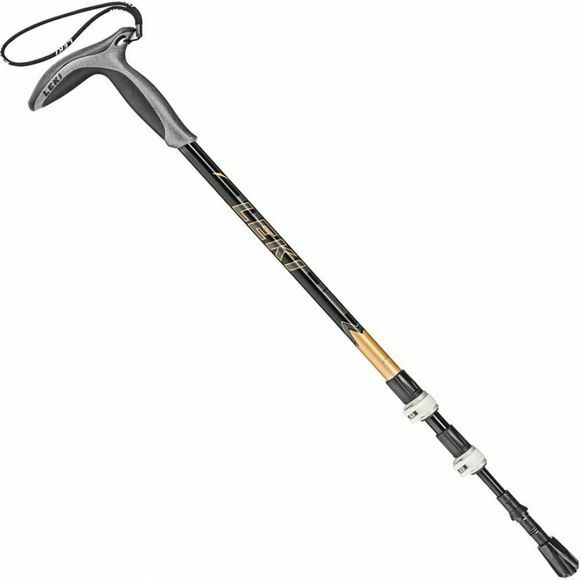 The Wanderfreund SL Trekking Pole from Leki is a handy piece of kit to have with you. Whether you need to take a little weight off your knees coming down hill or could use that extra push when heading uphill or even if you simply want to cover ground that little bit faster. It is also useful for stream crossings and reassuring pokes when traveling across marshy land trying to avoid the bog monster. It has an ergonomicly shaped edgeless handle which encourages a secure hold while providing comfort and the innovative hollow grip technology ensures a minimum weight. The SpeedLock system makes adjustments quick and easy when on the move.